For more than 36 years this unique, genre-crossing vocal/guitar jazz duo has cast its passionate musical spell worldwide, capturing the hearts of lovers, the respect of jazz buffs and the jaw-dropping awe of guitarists and singers. To understand Tuck & Patti, start with the wellspring of love within them, then their music begins to make perfect sense. Married 34 years, Tuck Andress and Patti Cathcart continue to stoke the fires, not only of their own love, but also of their love of life and their passion for making music together. 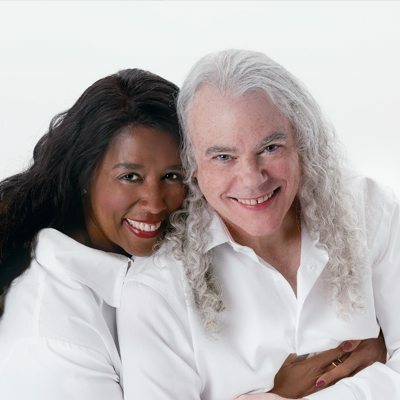 They have a long-standing tradition: Minimalist arrangements featuring Tuck’s extraordinary virtuosity and Patti’s rich mezzo soprano.